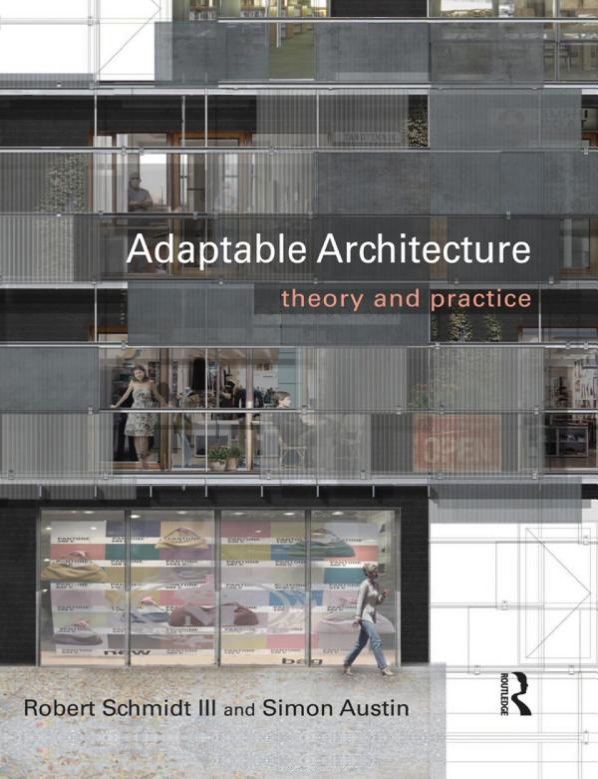 This book features the adaptable spaces of Alison Brooks Architects’ Quarterhouse Performing Arts Centre in Folkestone. 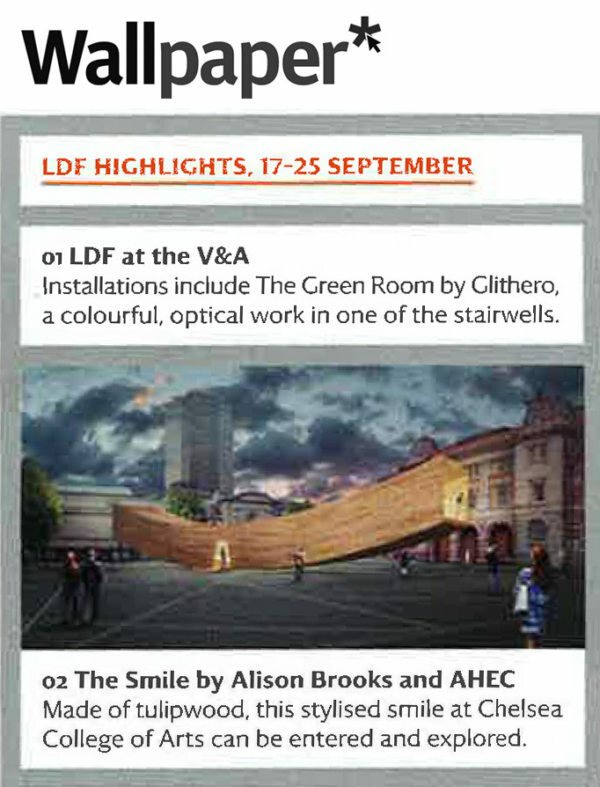 “From Alex Chinneck’s upturned electricity pylon in Greenwich to dRMM’s Endless Stair outside Tate Modern, London Design Festival’s Landmark Projects invite architects and designers to create extraordinary installations and objects that engage with the public and push materials to their limits. 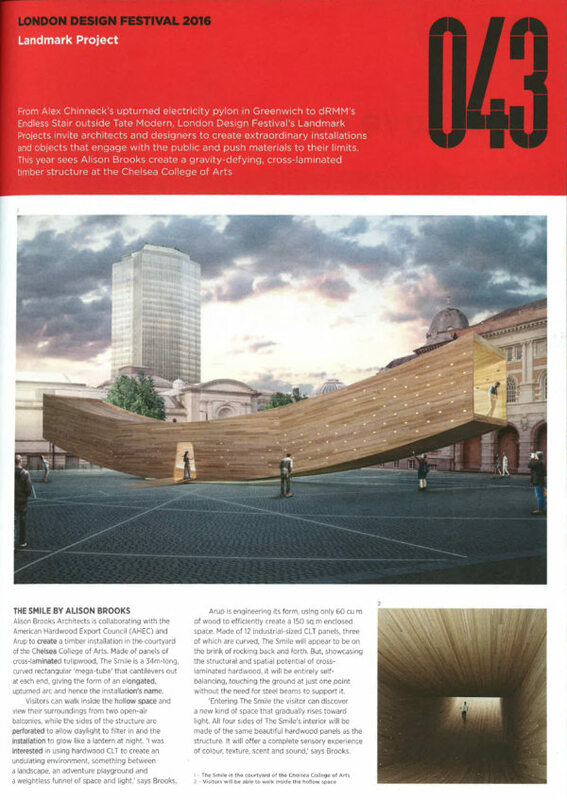 This year sees Alison Brooks create a gravity-defying cross-laminated timber structure at the Chelsea College of Arts. 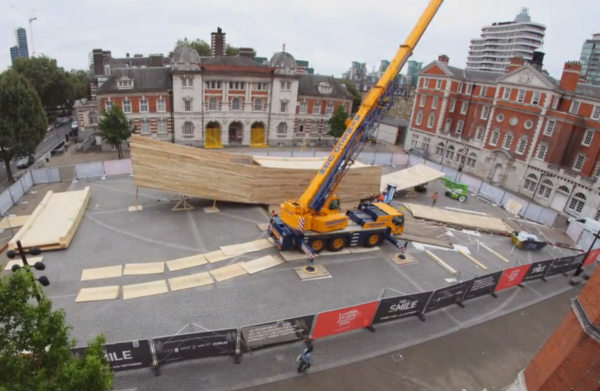 This video documents The Smile’s construction process. 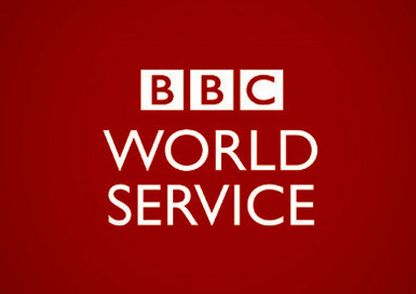 Alison Brooks spoke about The Smile to Vincent Dowd, Arts Correspondent of the BBC World Service on World Update at 10:06am on Friday 23.09.16. 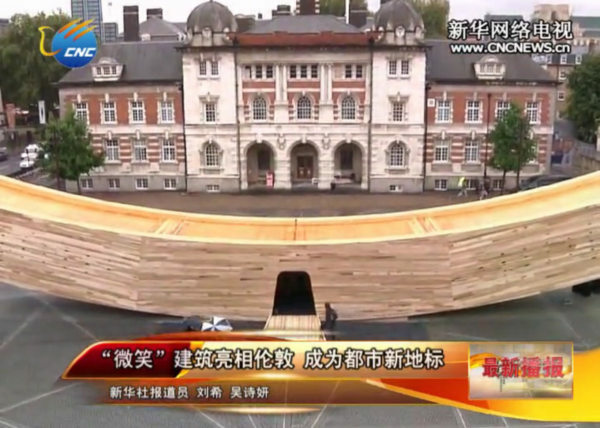 Chinese news channel CNC featured an interview of the Smile, accompanied by an interview with Alison Brooks. 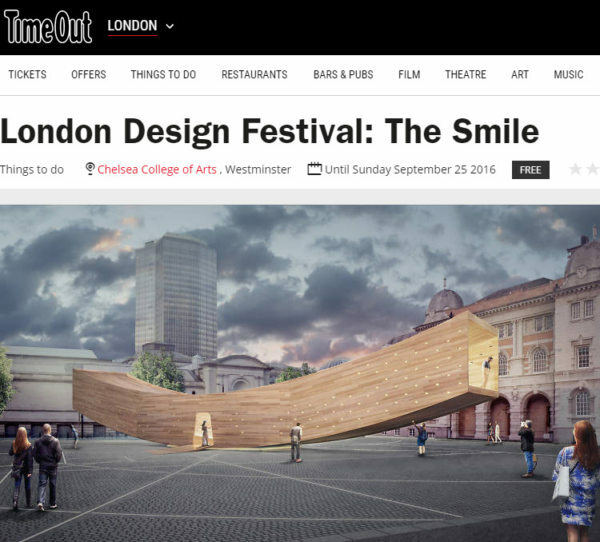 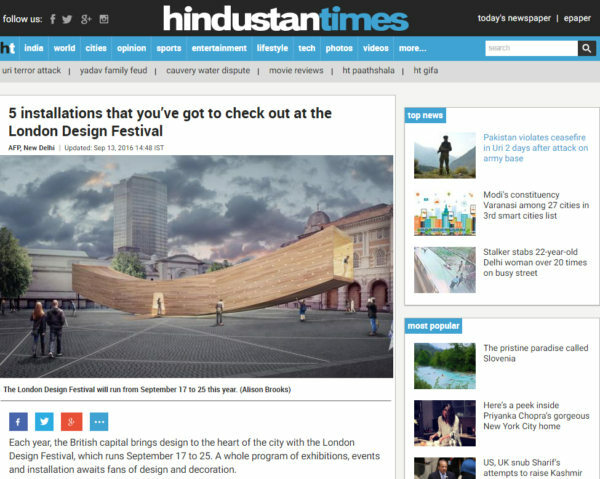 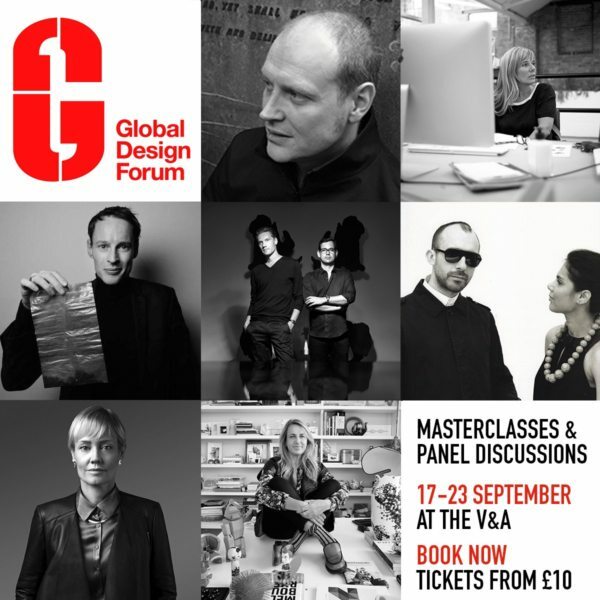 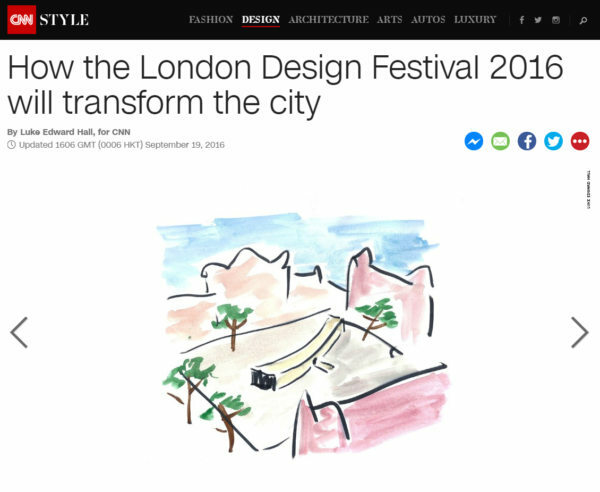 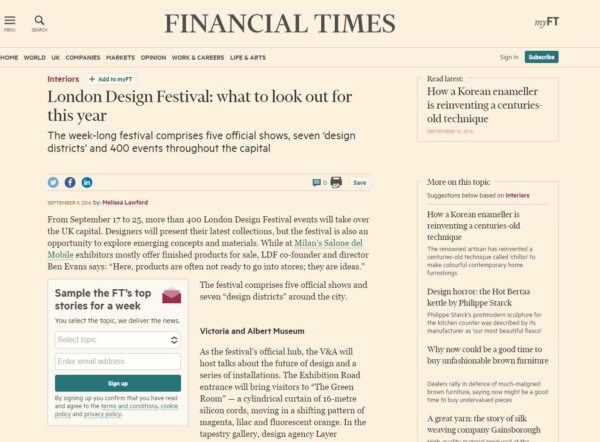 The Smile featured as the headline image of CNN’s illustrated guide to the London Design Festival 2016. 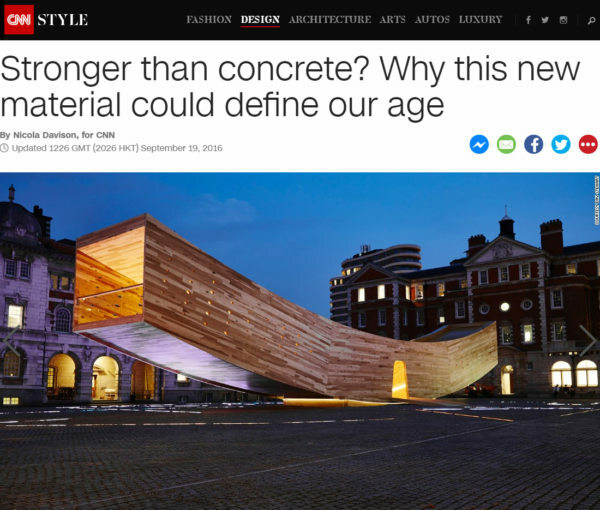 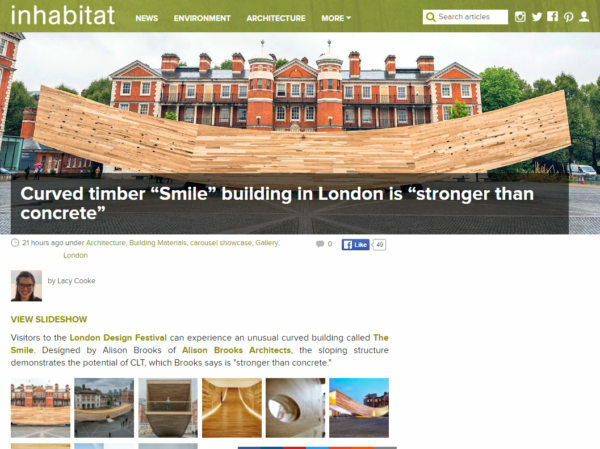 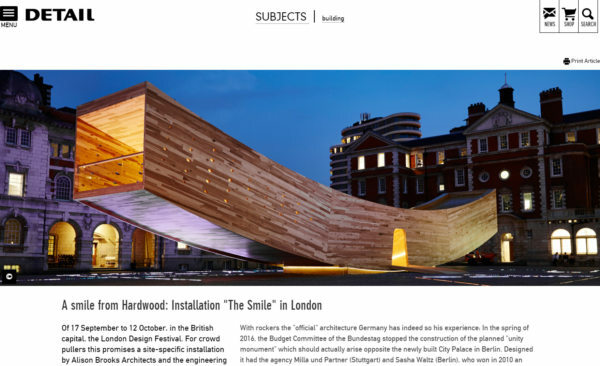 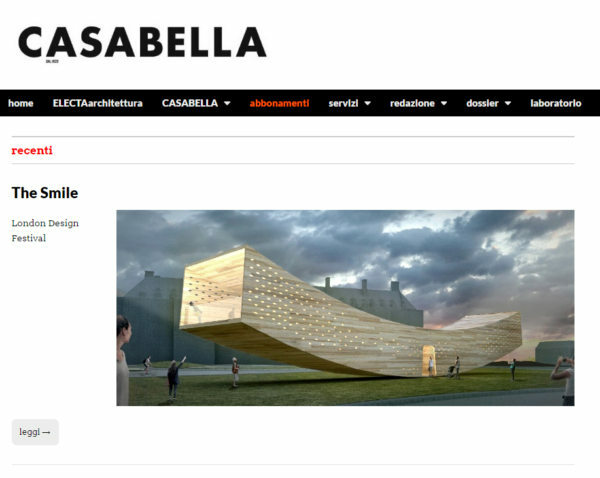 Italian website Divisare featured Alison Brooks Architects’ installation, The Smile – a collaboration with The American Hardwood Export Council, Arup and the London Design Festival. 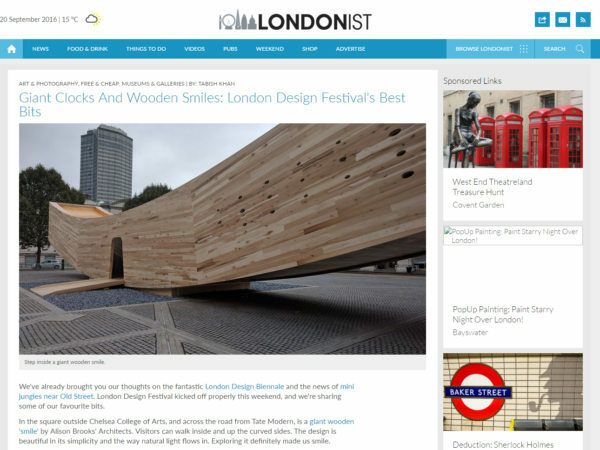 Alison Brooks was interviewed on this BBC Radio London programme about LDF landmark project, The Smile. 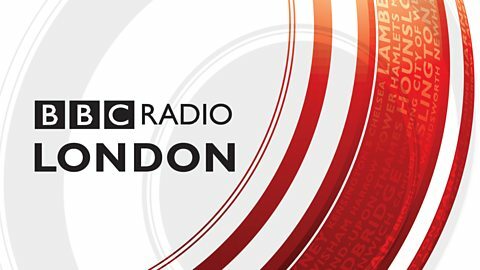 In the link below, she begins speaking at 02:06:54. 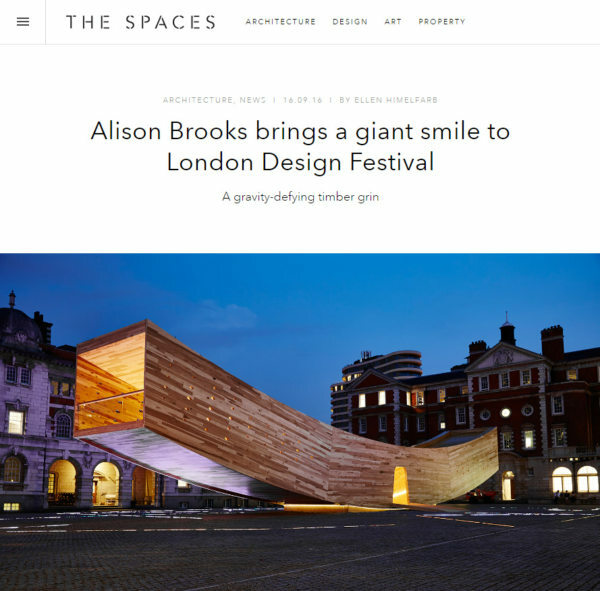 “Canadian artist Alison Brooks has designed a huge wooden structure called “The Smile” for London Design Week, located in the Rootstein Hopkins Parade Ground of the Chelsea College of Arts. 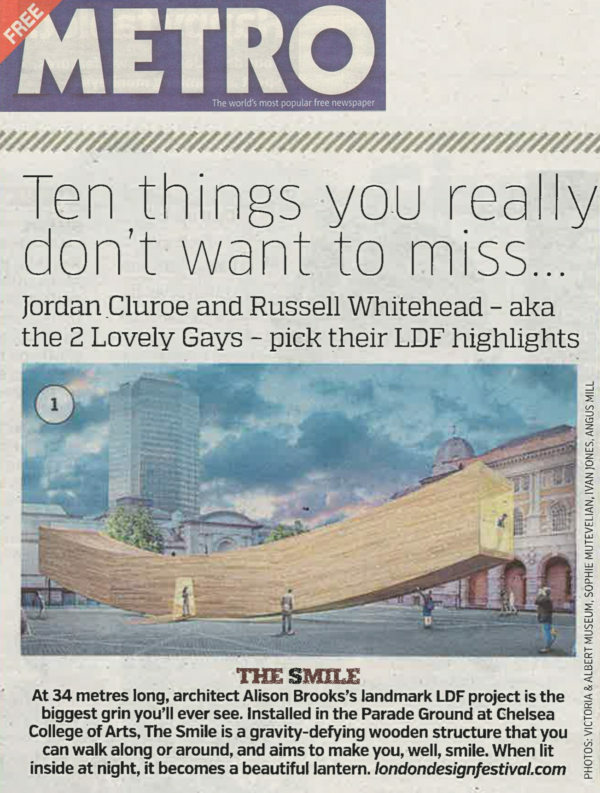 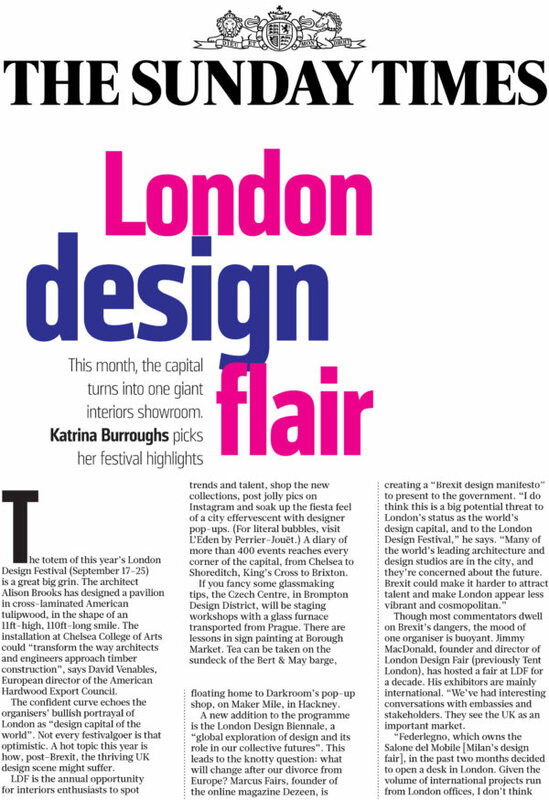 The Metro newspaper featured Alison Brooks Architects’ landmark LDF project, the Smile, as their top highlight for the London Design Festival. 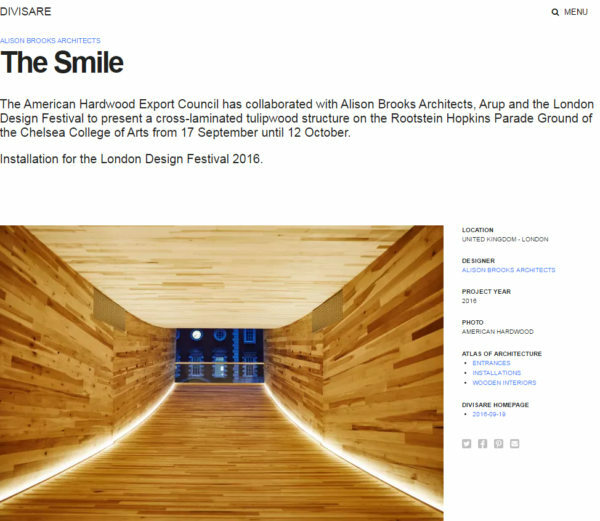 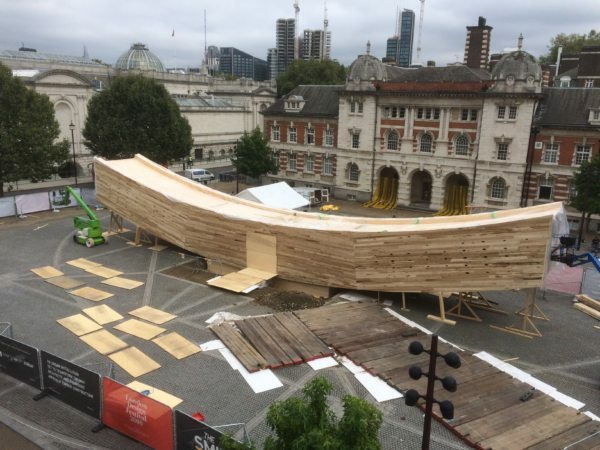 The Smile is a collaboration between Alison Brooks Architects and The American Hardwood Export Council, Arup and the London Design Festival. 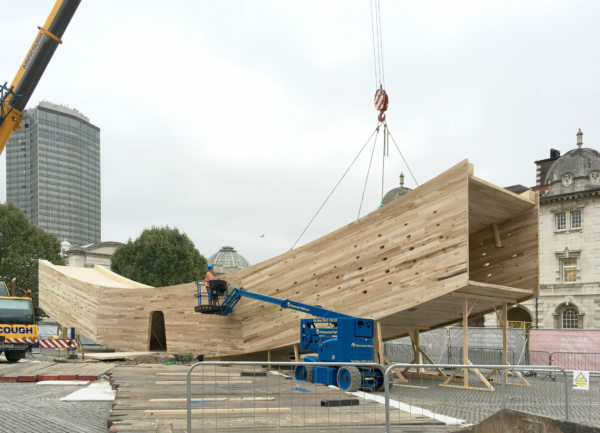 It is a cross-laminated tulipwood structure that will be on the Rootstein Hopkins Parade Ground of the Chelsea College of Arts from 17 September until 12 October 2016. 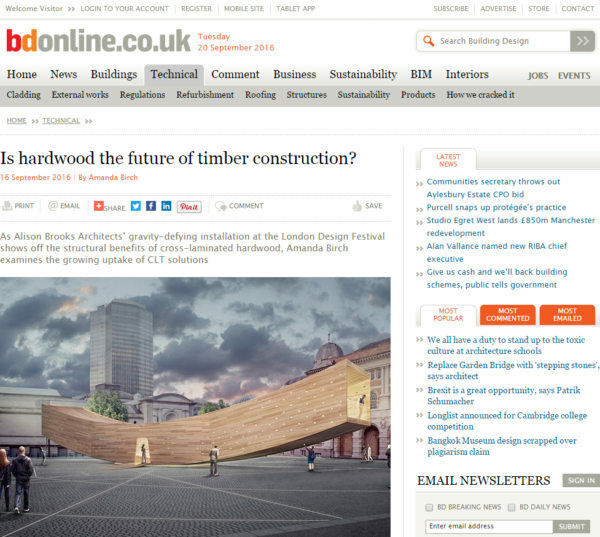 “A regular favourite is the installation created with the American Hardwood Council. 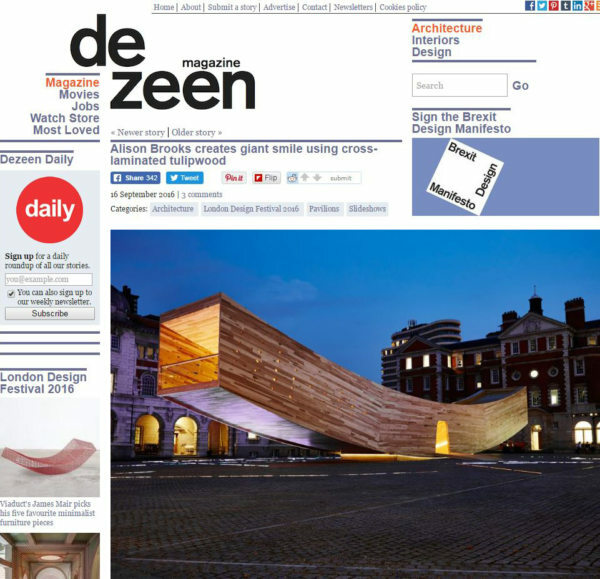 In recent years we’ve seen dRMM Architects’ Escher-inspired Endless Stair and Amanda Levete’s Endless Wave. 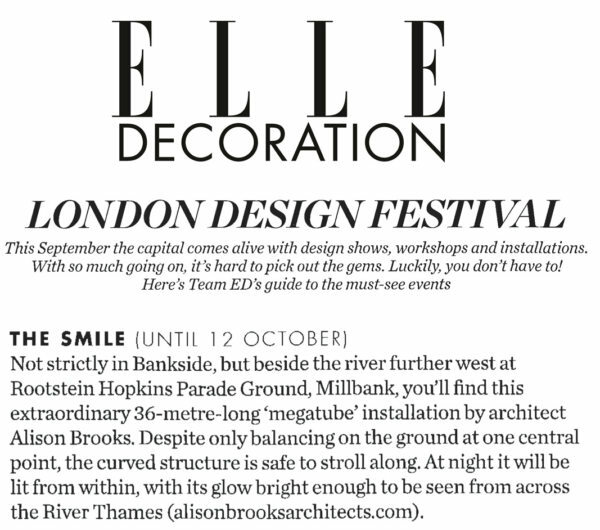 Wallpaper Magazine featured The Smile in its review of the highlights of London Design Festival 2016. 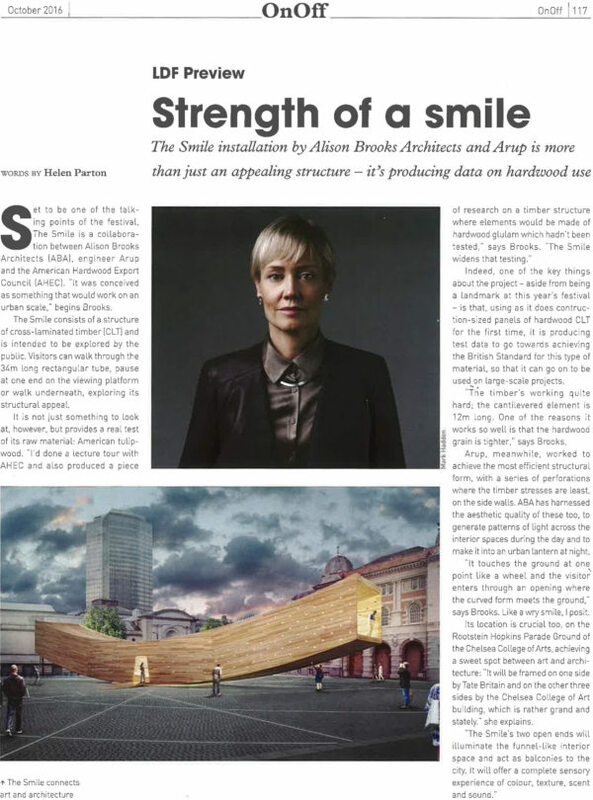 Icon published this 6-page interview with Alison Brooks, looking at 20 years of the practice’s work. 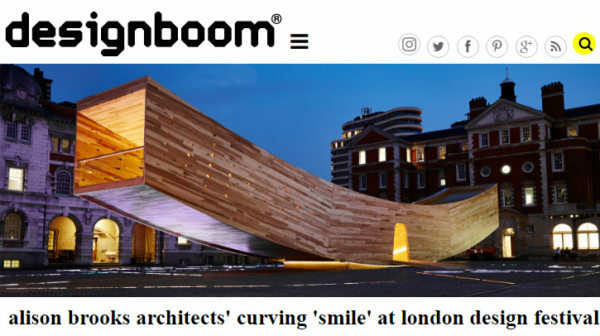 Take a first look at one of the London Design Festival’s 2016 Landmark Projects, The Smile – the world’s first-ever 34m long CLT urban pavilion. 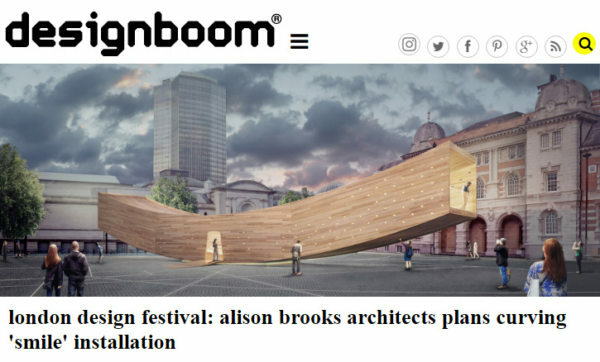 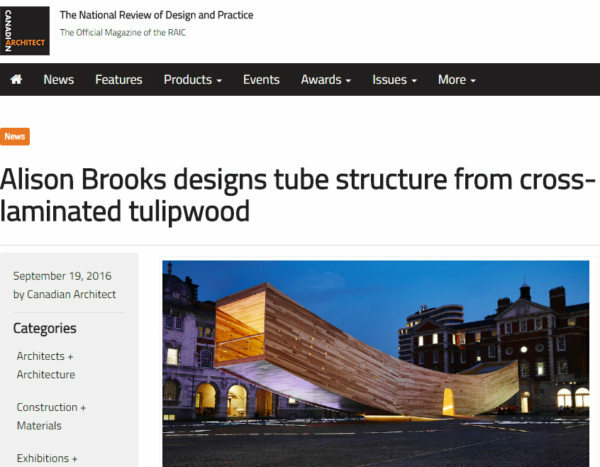 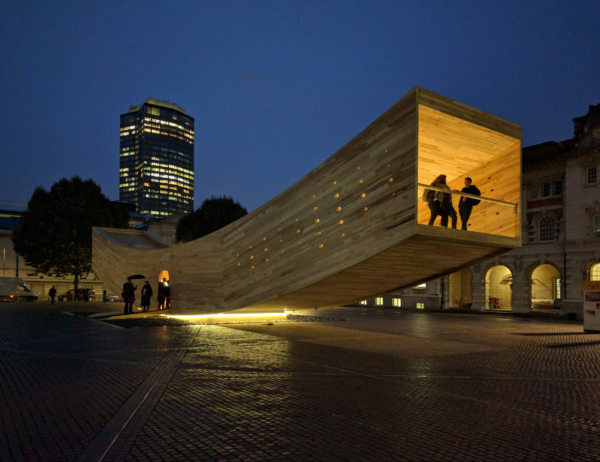 Alison Brooks Architects are collaborating with The American Hardwood Export Council, Arup and the London Design Festival to present a cross-laminated tulipwood structure on the Rootstein Hopkins Parade Ground of the Chelsea College of Arts from 17 September until 12 October 2016. 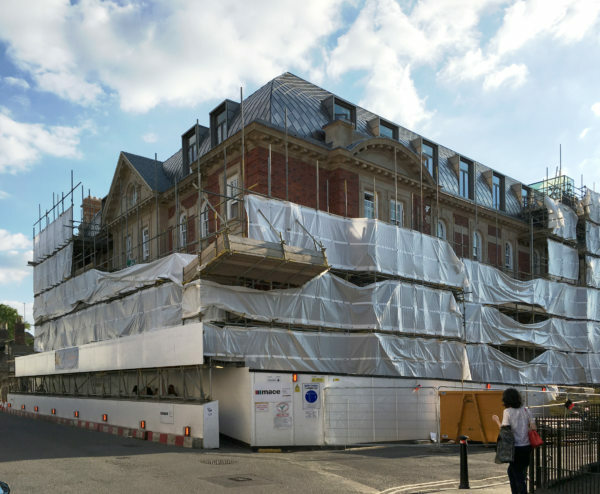 The scaffolding has begun to come down, revealing the shimmering curved steel roof at ABA’s new 6000 m² Cohen Quad, which will expand Exeter College’s 700 year old campus in the heart of Oxford. 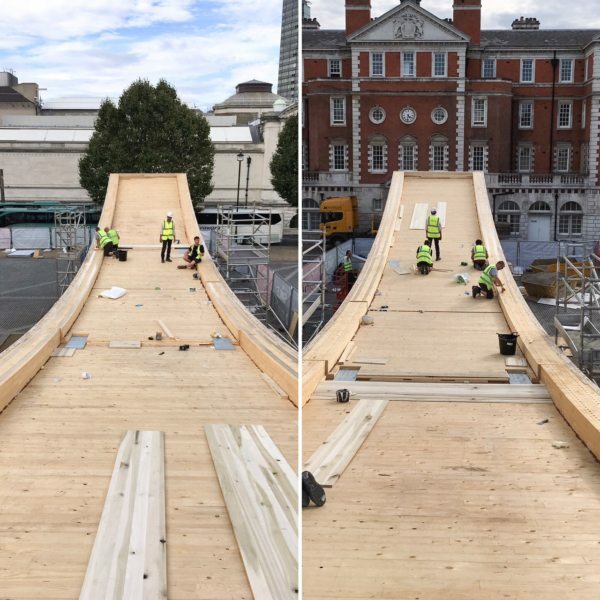 With The Smile’s full 34 metre wingspan in place, its cross-laminated tulipwood cantilevers are being secured with self-tapping screws. 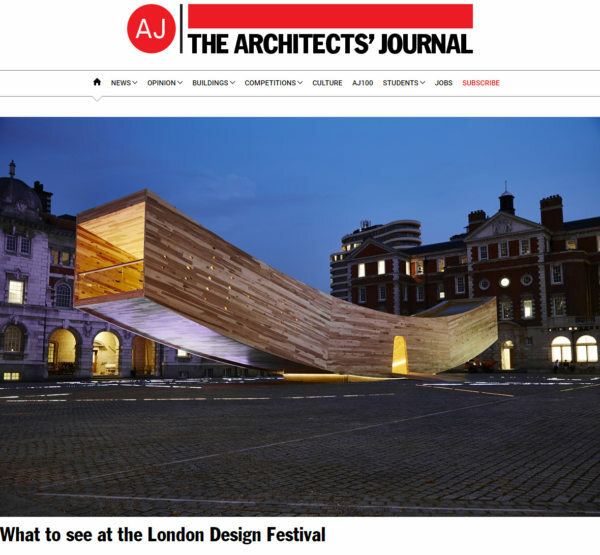 Photo by Chris Follows via @CCWDigital, University of the Arts London. 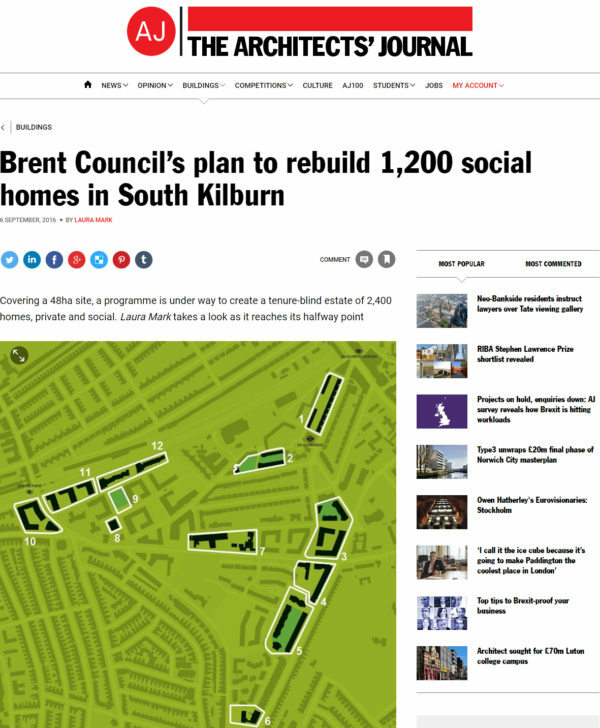 This article titled ‘Brent Council’s plan to rebuild 1,200 social homes in South Kilburn’ features Alison Brooks Architects’ three projects within the South Kilburn Estate Regeneration Masterplan. 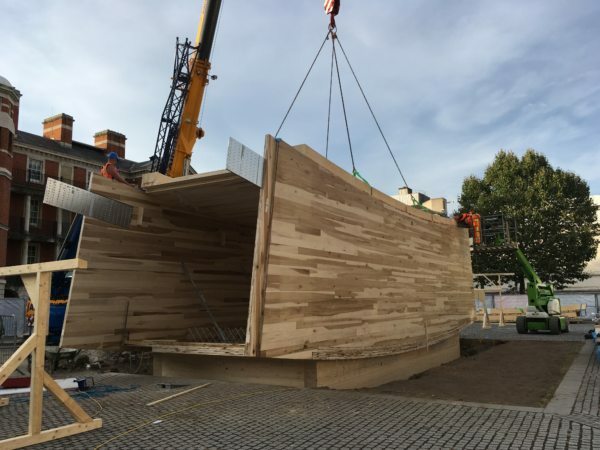 On day 9 of construction, the two cantilevered ends have been lifted into place, bringing the structure its full ‘Smile’ form. 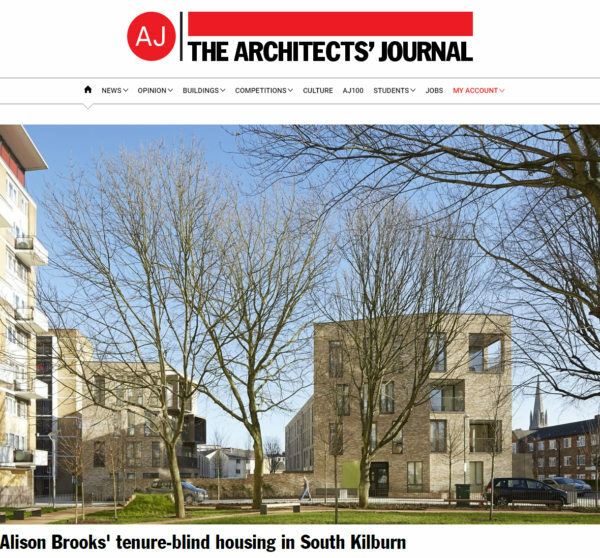 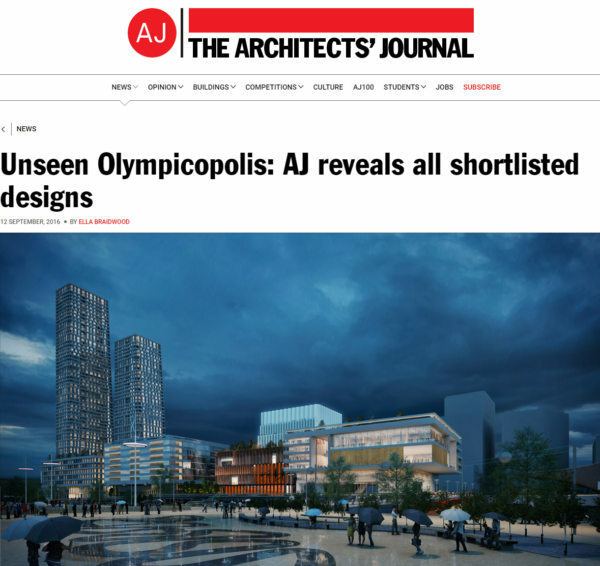 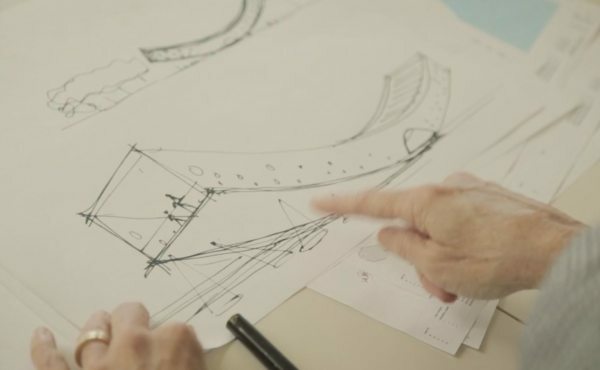 This article proposes two developments featuring Alison Brooks Architects’ projects as exemplars for architects’ collaboration with developers and stakeholders to form new communities. 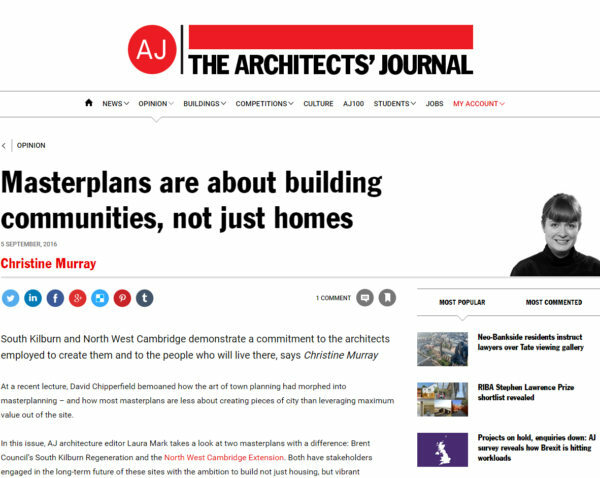 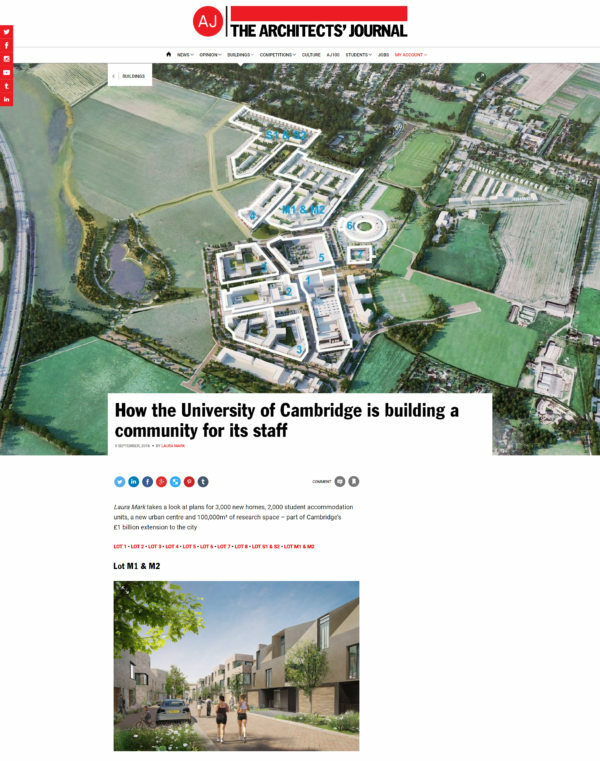 Alison Brooks Architects’ Veteran Oak Quarter featured in this article about the wider North West Cambridge Development, titled ‘How the University of Cambridge is building a community for its staff’. 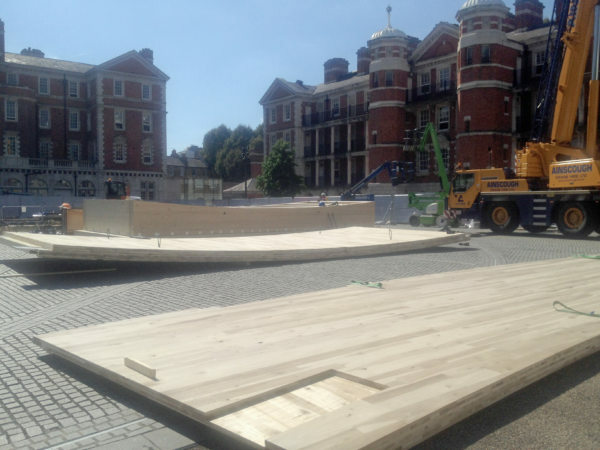 On day 8 of the Smile’s construction, the central panels have been assembled, ready to accept its two cantilevered ends. 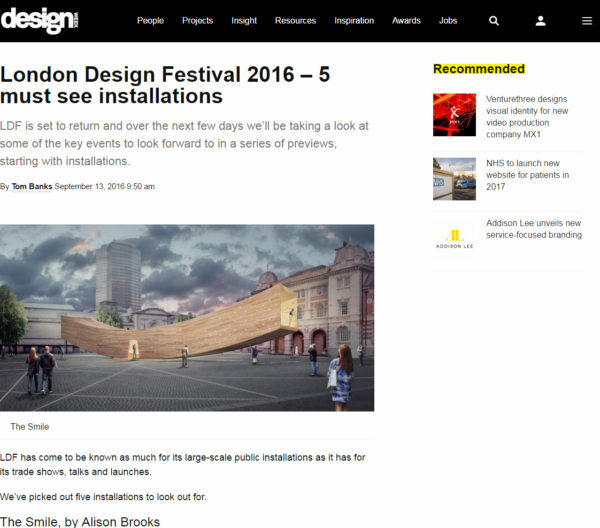 Installation has begun at the Smile pavilion for the London Design Festival 2016.